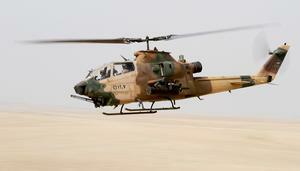 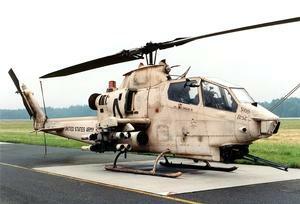 The AH-1F "Modernized" Cobra represents the culmination of the US Army's long-term Cobra upgrade program. 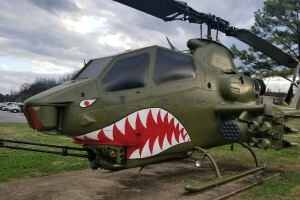 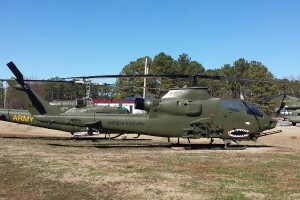 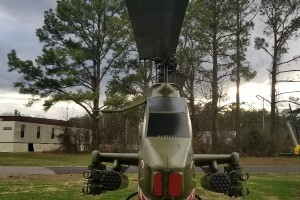 First delivered to the Army in 1979, the AH-1F fielded a new fire control system, featuring a heads-up display (HUD), and upgraded sights and rangefinders. 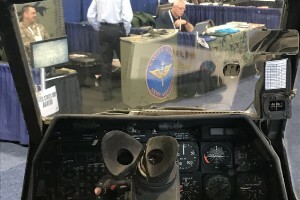 It also featured an innovative fire control computer that coordinated sensor input such as three-dimensional airspeed, rotor downwash, and outside temperature to calculate the most accurate firing solutions for the aircraft's weapons. 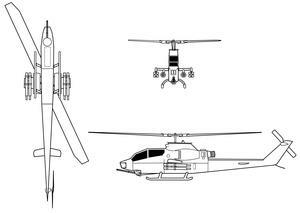 Other enhancements included improved navigation systems, as well as passive and active infrared defenses. The Kaman K747 blade was designed to improve upon the B540's hover performance, maintainability and reliability, while also reducing ballistic vulnerability. 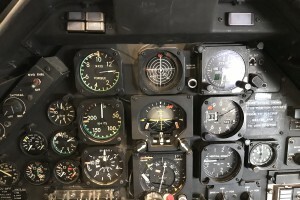 Aircraft using the K747 blades used the same general hub as the B540, but added other improvements such as strengthened swash plates, scissors and other control system elements designed to account for the K747's higher loads. 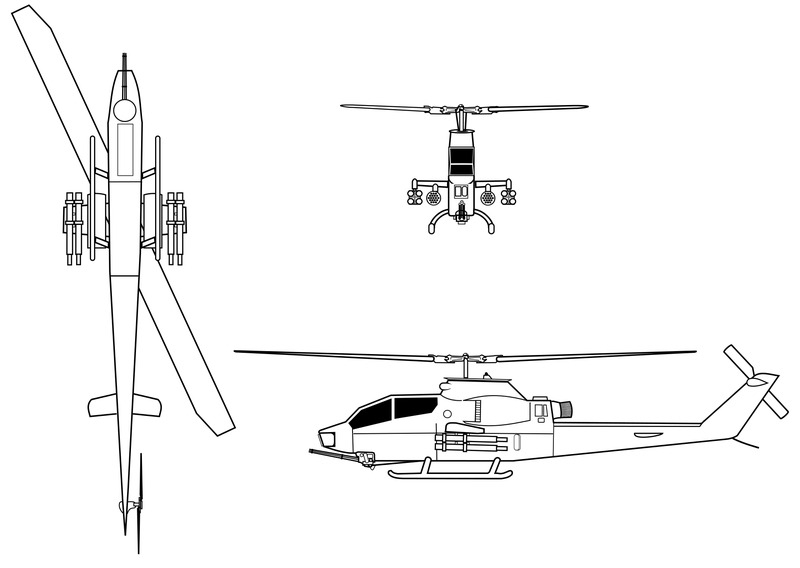 Resources related to the AH-1F Cobra, provided by the Vertical Flight Society. Resources related to the AH-1F Cobra, provided by public sources across the internet.